On March 28, 2017, the Minnesota Supreme Court agreed to hear a case involving the Minnesota Implied Consent Advisory and its Fourth Amendment and Due Process considerations. 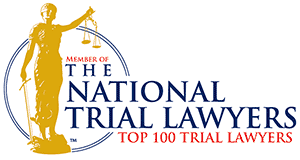 As some of our readers may know, Implied Consent has been the subject of a great deal of litigation in the last several years, in both district courts (the courts that deal with the initial criminal or civil case) and appellate courts (the courts that take up challenges to any manner of legal or factual issues dealt with by the district court). Through that litigation, we have seen some of the expansive powers granted to law enforcement officers and the State of Minnesota stripped away in the name of the constitutional rights of persons suspected of driving while intoxicated. Implied consent used to mean that a law enforcement officer who stopped a driver could demand that that driver take either a blood, breath, or urine test to see if the person was, in fact, intoxicated, and the officer did not need a warrant. If the person was intoxicated the officer would then charge the driver with a DUI and revoke their driver's license, as well as possibly impounding their license plates or taking their vehicle through civil forfeiture. Over the last several years, however, courts have been cracking down on law enforcement officers. Now, officers generally can only demand a blood or urine test if they have a warrant to search the person. The only test the officer can demand without a warrant is the breath test. It takes some time for law enforcement agencies to catch up to the changes, however, and one of the items that did not immediately reflect the changing law is the Minnesota Implied Consent Advisory. The Implied Consent Advisory is the notice that an officer must read to a person before the officer can compel the person to take a test to see if the person is intoxicated. The officer must read the entire Advisory to the arrested person and the arrested person must be able to indicate that they understand what the officer has just told them. One of the provisions in the Advisory used to state that the arrested person must provide a blood, breath, or urine test. That provision used to be entirely correct; however, as courts continued to chip away at Implied Consent, the provision's accuracy continued to drop. The issue being raised in the case that will soon be before the supreme court is this: has a person's rights been violated when the Implied Consent Advisory which has been read to them is misleading such that they think they must give a urine or blood test without a warrant? The case has already been heard by the Minnesota Court of Appeals, which held that a law enforcement officer does violate a person's due process rights when the officer reads a version of the Implied Consent Advisory that implies that a person has to provide a urine test even if the officer did not have a warrant. In so doing, the court of appeals directed the trial court that it must reinstate the person's driver's license. The State of Minnesota disagrees, however, and has asked the supreme court to hear the case and determine what the law is. Most people reading this blog are probably asking themselves “what does all this mean for my DWI case?” What it means is this: if the law enforcement officer who arrested you and revoked your driver's license, impounded your license plates, or forfeited your vehicle read a version of the Implied Consent Advisory that misstates the law, or if the officer misstated the law, there is a new avenue of attack to use to get your license back. If you or someone you know is facing a DWI and the driver's license revocation that comes with it, make sure to speak to a lawyer who has experience handling the hard cases and who is up-to-date on the latest advancements in the law. The attorneys at Olson Law Firm have been handling DWI and DUI cases for over 20 years, in the Twin Cities and also in outstate Minnesota, such as Rochester, Albert Lea, St. Cloud, Duluth, and everywhere else. Call Olson Law Firm today for a consultation on your case and make your first call your best call. 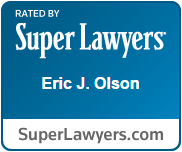 Eric J. Olson has dedicated his career exclusively to criminal law, with a focus onDWI defense. For the past 16 years, Mr. Olson has developed a reputation in the legal community as an aggressive, compassionate advocate for his clients.